If you need to lose weight and improve your overall health, the best bathroom scales have a lot to offer! Far more sophisticated than traditional bathroom scales, an electronic smart-scale can easily turn out to be your real best-friend! We all need motivation towards better health and weight, but don’t always get it from our home, work or leisure companions. But a smart-scale is designed to help you set, stick-to and reach those vital weight-loss goals. 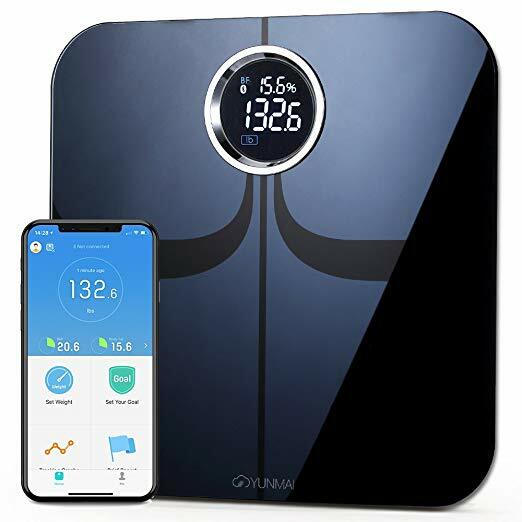 In addition, the best smart-scales reviewed here can give you the information you need to stay healthy, by measuring your body-fat ratio, muscle density and bone density. You can also get the most out of your smart bathroom scales, by sharing them with family and friends in password protected, user accounts. Some smart scales even record your daily calorie intake and subtract the calories you’ve used in exercising! And that can provide a very helpful insight into your daily habits. The most durable bathroom-scales have a solid, 5-year warranty, but one of our best bathroom scales has an impressive life-time guarantee. And although the weight-limit for bathroom scales varies between 350 lbs. to 400 lbs., we’ve also found a weigh-scale that weighs up to 450 lbs. In addition to free data from your smart bathroom scales, you can also use subscription apps to track your BP, blood glucose and lots more. 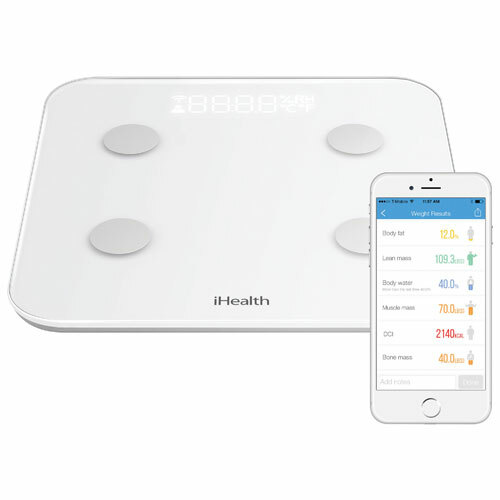 With preventive health care, fitness and weight-loss being important issues for us all, take a look at how the humble, bathroom scale has been transformed into a fantastic, electronic health and weight tracker for the modern age! 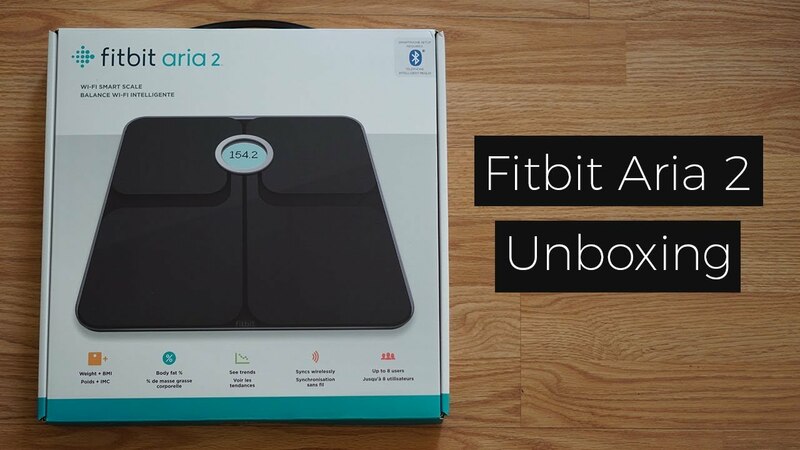 Our overall choice of best bathroom scales is the Fitbit Aria Wi-Fi smart scale, which syncs with your Fitbit account. However, don’t worry if you’re not a Fitbit user, because this high-performance, bathroom-scale also works with third-party apps. Compatible with Android and Mac, this clever device has 8 user slots, for family or friends using different devices. With 8 user accounts, we like its potential for use as an informal weight-loss club. To ensure individual privacy, it creates a separate, password-protected account for each user. The weight limit is 350 lbs. and you can track your BMI, blood glucose, blood pressure, activity and body fat, all in one handy place. But although some of these readings are given free-of-charge, others require you to pay a subscription. 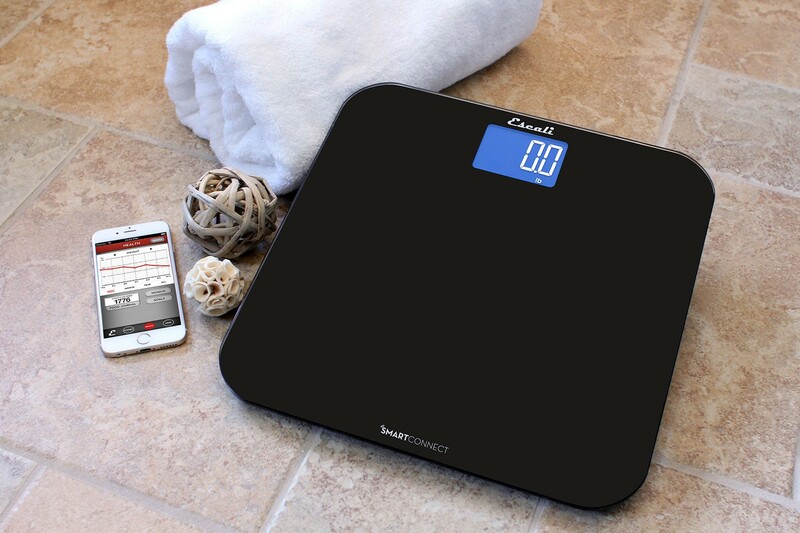 This smart scale also allows you to calculate your calorie intake -v- calorie use each day! Weight limit only 350 lbs. Giving excellent value for money, the Yunmai Premium bathroom scale is our choice for the best ‘cost-to-feature’ ratio. It’s easy to set-up and completely user-friendly. And with 16 private user accounts, it’s the perfect weight, BMI, body-fat tracker to share with family, friends or colleagues. Each user’s weight and statistic charts are only available on their personal Android, iOS or p.c. account, which is password protected. The Yunmai app not only sets personal goals, it also lets you share information with friends. Learning to use the app requires some concentration, but it was worth the effort! In addition to accurate weight measurements, you can check your BMI and body-fat statistics easily. It doesn’t track your calories per day, but will record how much water you drink. And folks with larger feet love this smart scale, which has the largest foot-plate available at 13” x 13”. This affordable, quality device is backed by an impressive 5-year guarantee. 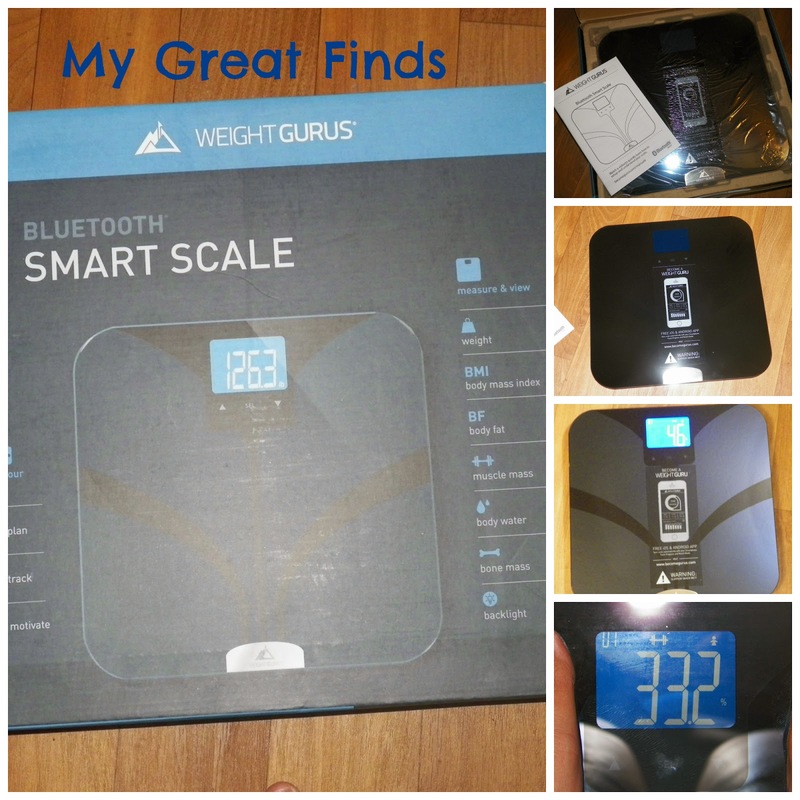 The Weight Gurus Bluetooth Smart Scale came out on top for giving the most accurate and consistent weight measurement. This is especially crucial for use in groups where several different people will be using the scales in quick succession. There’s a Weight Gurus app, but it’s also compatible with MyFitnessPal, Apple Health, Alexa and Fitbit. And with a maximum weight capacity of 400 lbs., this smart scale is suitable for a group of users including larger individuals. The Weight Gurus is designed for up to 8 private accounts you sync to individual smart-phones. These smart-scales can’t record your daily calories or fitness, but you can measure BMI, body-fat, lean mass, water weight and bone mass! And that’s important health information for people of any age. So along with a 5-year guarantee, first-rate accuracy, and a large 12.6″ x 12.6″ foot-plate, the Weight Gurus also provides the widest data collection range! 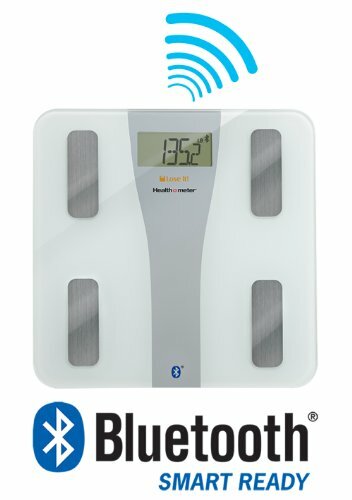 While some folks value smart scales for keeping an eye on their general health, a lot of us need a device that offers practical help to lose weight! And the iHealth Core Body Composition smart-scale is designed to be your helpful, weight-loss companion. You can set-up accounts for 10 users to measure weight, body-fat and BMI free-of-charge. In addition, if you download the iHealth app, you can also measure and track muscle mass, bone mass and body-water ratio. This is especially useful for folks who tend to retain water. Although the iHealth Core monitors daily calorie consumption, it doesn’t record specific foods or water intake. However, users found it very useful for setting weight-loss goals, and giving accurate and consistent results. And surprisingly, the iHealth also lets you check your local weather forecast. Larger and bulkier than other smart-scales; this may prove to be an advantage to heavier users, who can weigh up to 400 lbs. This is the best bathroom scale for heavier people, as it has the highest max. weight capacity at 450 lbs. Designed only for use by one account holder, these bathroom scales have lots of useful weight-loss-helping features. And these include the free Escali SmartConnect Scale app, which is completely focused on your healthy, weight-loss goals and improved fitness. You can measure and monitor body-fat, bone density, muscle mass, BMI and more. And the Escali app also contains useful FDA Food Lists and nutrition facts, as well as outstanding customer support. The Escali SmartConnect is easy to connect to your smartphone or tablet with Bluetooth. And like every one of our best bathroom scales, it provides very accurate and consistent measurements. Our testers rated it very highly for tracking weight, BMI and your 100 previous weights, which is very motivating. The Escali helps you set those all-important goals and you can monitor your calorie intake closely with feedback on how specific snacks and meals affect your weight-loss, weekly, monthly and up to a whole 12 months! Highest max. weight 450 lbs. If you’re budget is tight, the Lose It Body Fat smart-scale may be the best smart-scale for you. It can be programmed for 4 people and as the name suggests, the focus is firmly on encouraging weight-loss. And to that end, the scale tracks daily calorie consumption, records your exercise activities and helps you fix definite weight-loss goals. This bathroom scale is compatible only with iOS systems, and doesn’t function with Android. However, users with a compatible phone/tablet, found it easy to sync the smart-scale and its free app. The Lose It app also provides useful food calorie and exercise databases and has the largest, easy-read display we’ve seen. And finally, you can gain motivation from their blog, and link with Facebook to share your progress with friends/family! With a good overview of the best bathroom scales, you can narrow down your search to the features that support your health goals. And as the future of medicine moves swiftly towards self-monitoring, a smart-scale is definitely a wise investment in your continued health and well-being!